Some exciting science detective work is going on in the Aleutian Islands, home to 1,100 miles of remote marine habitat and some of the world’s richest fishing grounds. Because this sensitive region is vulnerable to the introduction of invasive and potentially harmful marine species, Alaska Sea Grant is participating in research to determine the threat level now and into the future. The research is prompted in part by warming ocean temperatures and an increasing amount of international vessel traffic, including nearly 2,000 cargo carriers that make more than 4,600 transits through Unimak Pass annually, said Melissa Good, Alaska Sea Grant’s Marine Advisory agent in Unalaska. With additional funding from the Smithsonian Environmental Research Center, NOAA Fisheries Habitat Conservation Office and the Smithsonian Global Genome Initiative, two projects are underway: a citizen science Plate Watch program and a collection of Unalaska’s marine invertebrates for DNA analysis. The projects are the result of increased awareness of the Bering Sea’s susceptibility to marine invasive species. That knowledge has grown recently by a risk assessment in which Alaska Sea Grant participated. A student in Unalaska holds a marine creature she discovered during a search for invasive species organized by Alaska Sea Grant and the Smithsonian Environmental Research Center. Photo by Melissa Good. The Plate Watch program was designed to create a standardized method for discovering invasive species and provide a platform for people to report and learn about invasive species in their area. The project involves both researchers and citizen science volunteers, which in the case of Unalaska involved the help of many school-aged children. This is how Plate Watch works: a PVC plate is lowered into the water, usually being tied off to a dock or other similar structure. The plate is then left in the water, anywhere from three months to a year. This allows for organisms, both native and invasive, to attach themselves to the plate. The plate is then pulled up and all species examined and identified under a microscope. Students examine species that attached themselves to a PVC plate during a recent Plate Watch program in Unalaska. Photo by Melissa Good. During the first week of September, local students participated in the Plate Watch. Under the guidance of Good and Smithsonian researchers, the budding scientists also explored the tidal flats with buckets and bags to collect marine organisms. Good and the researchers then helped the children identify organisms underneath a microscope. Alaska Sea Grant Marine Advisory agent Melissa Good helps students identify marine life pulled from a harbor in Unalaska. Photo by Melissa Good. The results of the Plate Watch program only indicated one invasive species in the area, Caprella mutica, otherwise known as the Japanese skeleton shrimp. While invasive, the Japanese shrimp are not harmful to Bering Sea species or ecosystem according to recent studies, Good said. 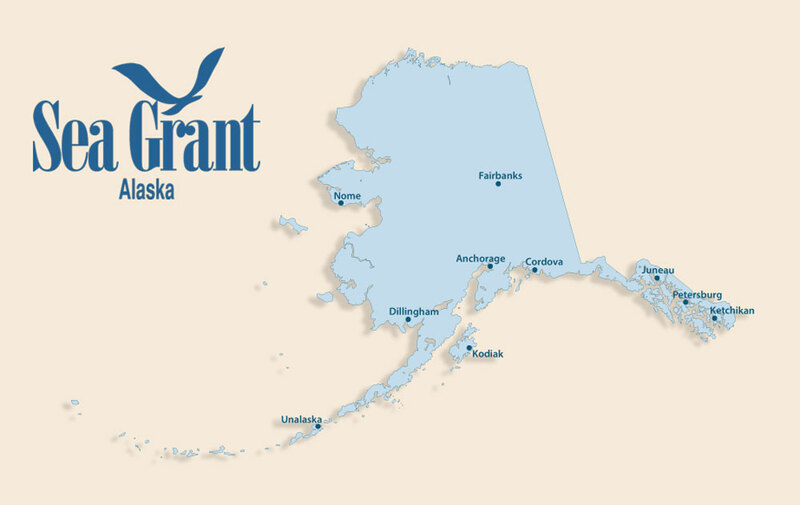 Although invasive species are not yet prevalent in the Bering Sea, the work Good and Alaska Sea Grant are doing will inform ecosystem managers and help set monitoring priorities. Encouraging kids to participate in this research not only fosters a curiosity about science and the ocean environment but also provides them with the experience and tools to further investigate that world, Good said. Involving students in the Plate Watch program is one recent example of Alaska Sea Grant’s goal of promoting marine literacy throughout the state.